English folk rock singer, songwriter and guitarist Roy Harper has been a professional musician since 1964. 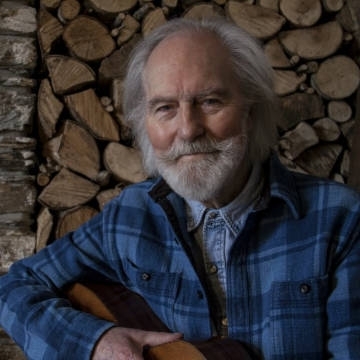 Harper has released 32 albums across his 50-year career. Few surviving songer-songwriters from the counterculture of the 60s have kept their reputations intact. Of the generation of troubadours who came of age in the London folk clubs of that era, some have passed away, while others have surrendered to the regurgitation of the blandest form of acoustic folk music. But among the survivors, there is one figure whose body of work, comprising 23 studio LPs and almost as many live and compilation releases, has come to stand for a particularly single-minded form of integrity. That man is Roy Harper. Bill Shanley - Dublin based, Bill is one of Irelands top session and touring guitar players and producers. Bill has established himself internationally too, through touring and contributing to albums with Ray Davies, Paul Brady, Mary Black, Roy Harper, Gilbert O Sullivan, Alexandra Burke, Sinead O’Connor, Judy Collins to name a few.